Looking for a Nova Scotia Duck Tolling Retriever? The Nova Scotia Duck Tolling Retriever is the smallest among the retrievers, weighing 35 to 50 pounds and standing 45 to 51 centimetres. It is originally bred in Nova Scotia, Canada to toll, lure and retrieve waterfowl. Also known as Toller, this gundog breed has boundless energy, intelligent and easy to train. However, it has an independent nature. It sports an attractive red coat that is easy to groom. Tollers are also excellent watchdogs. Are you looking to buy a Nova Scotia Duck Tolling Retriever aka Toller? Here is a brief background of this energetic dog breed. The Nova Scotia Duck Tolling Retriever dates back in the 1890s. It was bred as a working gundog in Little River Harbour in Yarmouth County, Nova Scotia. The breed proved to be a highly-valued retriever. It was originally referred to as the Little River Duck Dog before it was officially recognised as a purebred in 1945 by the Canadian Kennel Club. Later, its name was changed to Nova Scotia Duck Tolling Retriever. 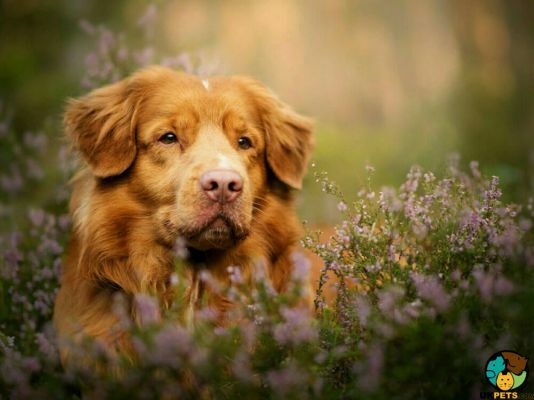 The Toller is a mixture of retrievers, spaniels, collies and setters. In fact, it is believed to have been developed by crossing Golden Retrievers, Flat Coated Retrievers, Labradors, Cocker Spaniels, the Chesapeake Bay, Irish Setters, some working collies and spitz-type dogs. The breed was said to have been perfected in the second half of the 19th century. 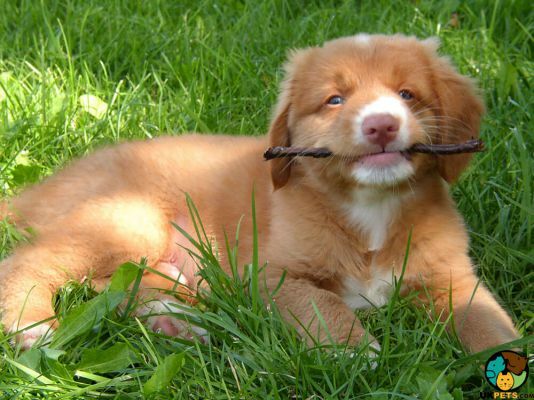 Over the years since it was developed, the Toller has become a popular choice as a family pet and companion dog. In 1995 the breed was declared as the provincial dog of Nova Scotia. Today, however, the number of Nova Scotia Duck Tolling Retrievers remains low which means getting a puppy will be difficult to accomplish. The Novia Scotia Duck Tolling Retriever is the smallest among the retriever breeds. It weighs 35 to 50 pounds and stands 45 to 51 centimetres at the withers. It boasts of high energy and stamina typical to a retriever. Appearance-wise, its head is wedge-shaped with a tapered muzzle. It has a strong jaw but a soft mouth for retrieving. The ears drop have rounded tips but are often set high atop the head. The eyes are medium in size and almond shaped. Eye colours usually match the colour of its coat or slightly darker. The tail is feathered and carried low when relaxed and high and curved when alert. 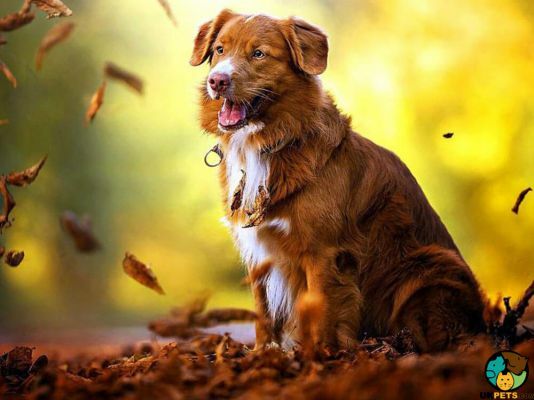 The Toller sports a medium-length double coat that is comprised of a straight, weather resistant topcoat and a dense undercoat that is soft to touch. The hair may be slightly wavy at the back while a feathering is present at the throat, behind the ears, thighs and legs. Tollers come in colours of buff, buff and white, red and white. Maintaining the coat of a Toller is easy since it is low maintenance. It is a light shedder as such will only requiring brushing once a week to remove loose and dead hair. However, they may require more brushing during spring and autumn when they shed more. Baths are only needed when necessary depending on the dog's activity. The ears should be thoroughly checked and cleaned to avoid excessive wax build-up. Brush the dog's teeth at least twice a week or preferably daily, to prevent gum disease and bad breath. Its nails must be trimmed when it gets too long. The Nova Scotia Duck Tolling Retriever is often described as having a personality of a Golden Retriever or and Terrier. This dog breed has a sense of humour, is outgoing and lively but when they are not playing or hunting, they are content and quiet inside the house. Tollers are highly adaptable and can quickly adjust from one environment to another. It is an excellent watchdog, reserved around strangers and barks when necessary. Tollers are smart, independent and active, which makes them a delight to housetrain. They are also eager to please, so dog training is an easy feat. They are great family dogs but are suitable for outdoorsy people. Keeping the Toller busy with mentally and physically stimulating activities is a commitment, else they become destructive. When it comes to children, the Toller seem to have a strong affinity with them. However, any interaction must still be supervised to keep playtime calm and avoid accidents. Early socialisation plays a big role in how the Nova Scotia Duck Tolling Retriever behaves around other household pets. Although they are generally good with other dogs and cats they grow up with; they will treat other smaller animals as fair game. A typical serving for an adult Nova Scotia Duck Tolling Retriever is 2.5 to 3 cups of the high-quality dog food daily. Every dog despite its breed has a unique nutritional requirement which is determined by its age, size, build, health, level of activity and metabolism. So if you are not quite sure about what your dog needs, consult a veterinarian. Physically active/working dogs: 1233 calories daily, depending on activity level. Make sure that you follow a feeding schedule. When feeding, don't forget to measure the servings according to its recommended calorie requirement. Overfeeding may cause the dog to become overweight which will create pressure on its joints. Feed only high-quality dog food that is rich in animal protein. So when you buy commercial dog food, check the labels. 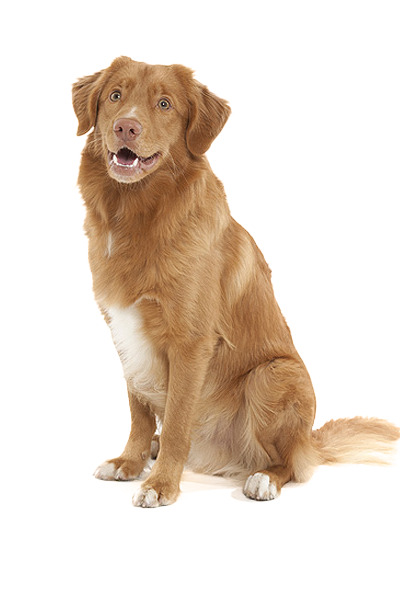 The Nova Scotia Duck Tolling Retriever, with an average life expectancy of 11 to 13 years, is relatively healthy. 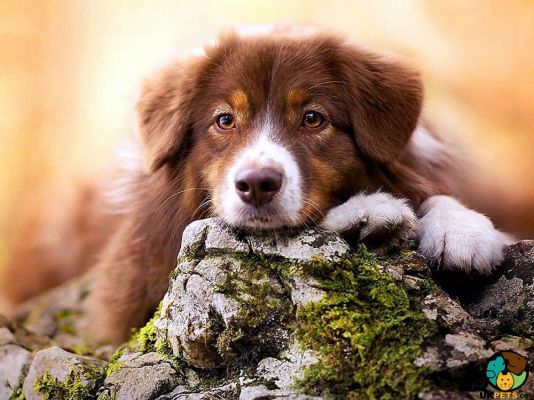 However, they may still be prone to minor health concerns such as Progressive Retinal Atrophy, Hip Dysplasia, Collie Eye Anomaly, and deafness. The Tollers are highly-energetic dogs and as such will need plenty of mental and physical stimulation. Give your dog at least 2 hours of daily exercise which include walking, swimming, running, especially playing fetch which it loves. However, make sure all these activities are done in a safe and secure environment. Owning a dog might be a little expensive. However, the costs will depend on the type of dog you will want to buy. There are small dogs that are cheap to purchase but with absolutely expensive health disorders, while there are large dogs that may cost you more in food but will relatively stay healthy, thus saving you unnecessary trips to the vet. When you buy Nova Scotia Duck Tolling Retriever puppy, prepare to pay the standard price of no lower than £350 or £600 if you buy from a reputable breeder. 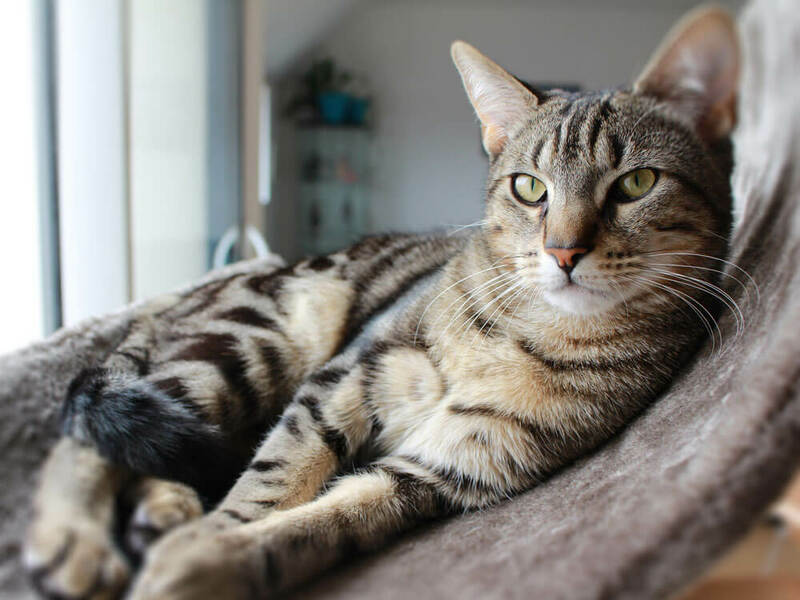 Pet insurance will likely cost you £20 to £50 a month while veterinary care can quickly cost you £1000 in a year. Then, dog supplies, albeit one-off, will also cost you around £200. Overall, raising a Toller will put you out of £70 to £100 a month. 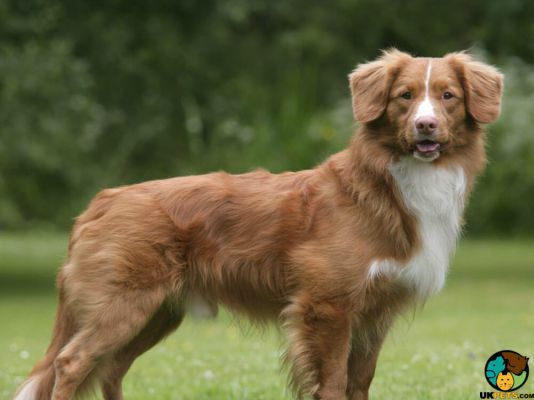 Is a Nova Scotia Duck Tolling Retriever Right for You? 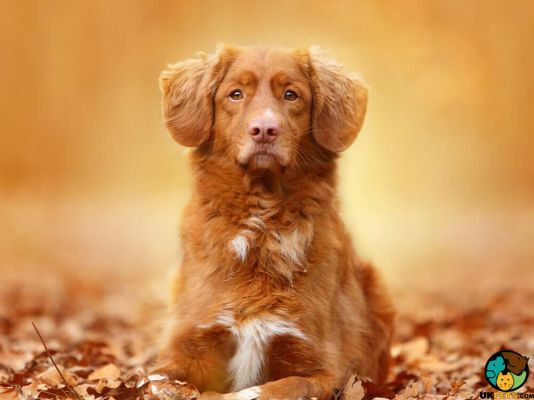 The Nova Scotia Duck Tolling Retriever is an outgoing and affectionate dog. It is an excellent watchdog, reserved around strangers and barks when necessary. It is intelligent and eager to please, so dog training is an easy feat. It is a light shedder and only requires brushing once a week. It is a great family dog but is more suitable for outdoorsy people. It is a highly-energetic dog and requires at least 2 hours of daily exercise.